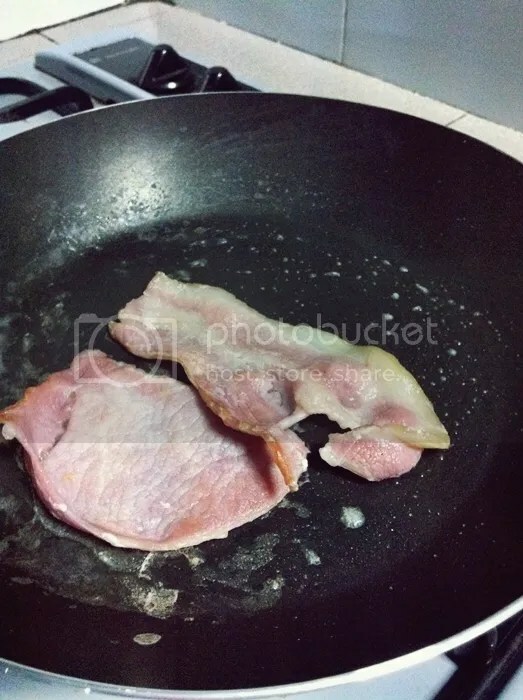 March 4, 2012 March 8, 2018 by labelle l.
Frying the bacon! I wanted to get smoked salmon but it’s kind of wasteful if there is only the 2 or us eating. Here’s a video of how to poach eggs, detailed with good explanations. 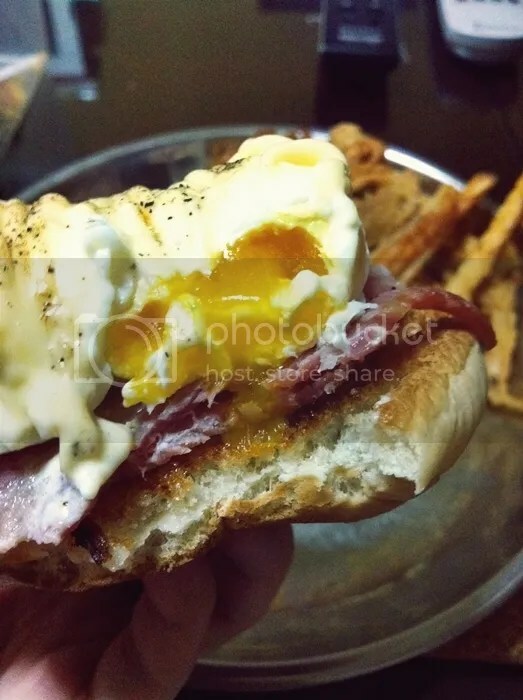 Eggs Benny! 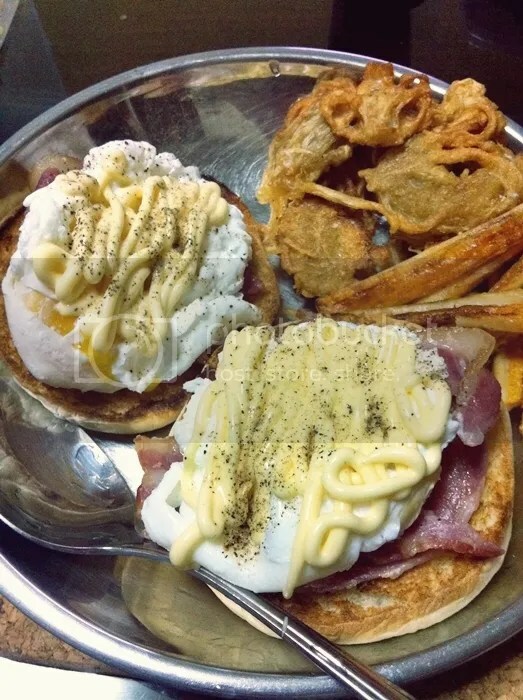 I used mayonnaise instead, hollandaise sauce is not really my kind of thing. 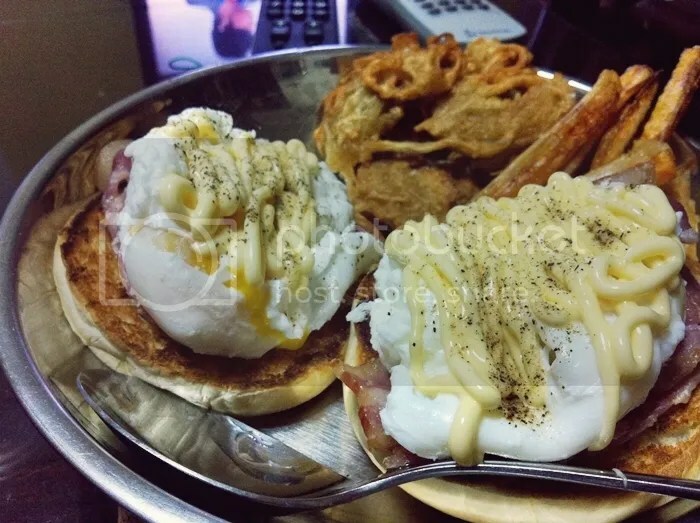 I got the burger buns from 7-eleven, just cut them into half and toast them a little on the saucepan if you don’t have a toaster, no oil needed. Comes with friend enoki mushrooms and carrot sticks. Boyfriend loved it. Go on and make some for yourself! It’s addictive! Titanic: The Artifact Exhibition and Max Brenner Chocolate Bar. Simple dinner for boyfriend and me.